There are plenty of reasons that you have no experience: Changing careers, new graduate or re-entering the workforce after many years away (like when you’ve started a family and been out of the workforce as a parent). These circumstances justify your lack of experience but there are things you can do. 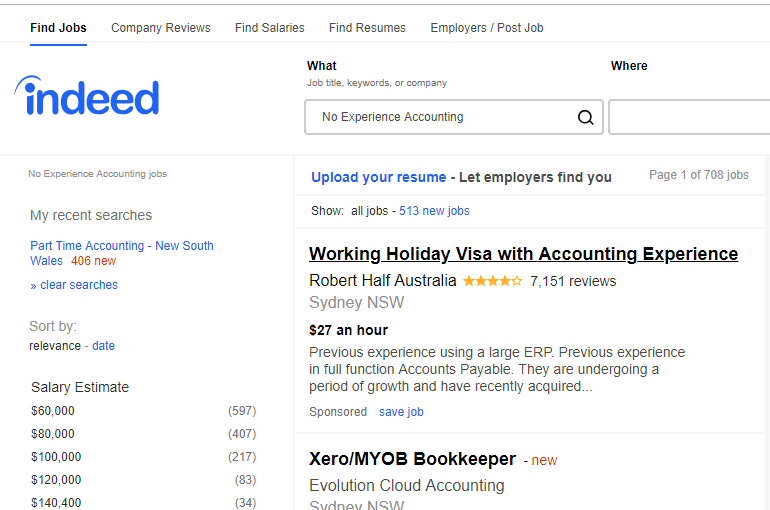 Our team has reviewed the features of some of Australia’s biggest job boards for accounting jobs and we’ve used some of the features that can help job seekers receive notifications when new jobs become available. There is hope and there are things you can do.